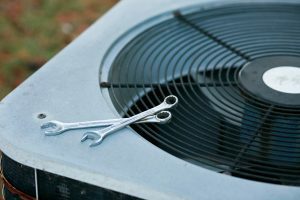 We often tout the benefits of air conditioning maintenance sessions for keeping your system running smoothly, and there are a lot of good reasons to get your air conditioner serviced regularly. That includes a list of benefits that mostly boil down to the same thing: up-front investment in exchange for long-term savings. That can provide three specific benefits to your system, though the exact results will vary from air conditioner to air conditioner. By fixing all those little issues, a maintenance session helps eliminate inefficiency from the air conditioner. You thus won’t have to pay as much for equivalent use, provided you run your air conditioner about the same amount of time that you did before the maintenance session. This is one of the reasons why we recommend maintenance sessions in the spring or as early as possible in the summer. It can save you a great deal of money, especially if you do so before the high temperatures start. In almost every case, getting a handle on a potential repair issue is best done sooner rather than later. In the first place, it prevents mad scrambles in the face of unexpected breakdowns: especially in the middle of summer when temperatures hit 100 degrees. Spotting the issue early means getting on top of it at a time that matches your lifestyle, without having to rearrange anything else in your life. Furthermore, early repairs are almost always less expensive than those that take place after a breakdown. The damage hasn’t had as much time to spread, and often involves fewer components, which gives your wallet a big break. Individual maintenance sessions do a great deal for your system. But when applied regularly over time, they can help extend the lifespan of your air conditioner. They reduce the impact of wear and tear, which in turn reduces the chances of future breakdowns as well as granting your air conditioner a longevity that can add months or even years to its life. That means getting the most value out of a significant investment in your household comfort. If you haven’t scheduled a maintenance session in your Whittier, CA home yet this year, then give the friendly professionals at Greenleaf Heating & Cooling a call today!